Amazon has the Transformers: Generations Power of the Primes Liege Maximo Prime Master on sale for just $2.77, down from $4.99 and shipping is free. The Autobots and Decepticons use Prime Masters to wield the incredible powers of the legendary bots who shaped the universe: the Primes. 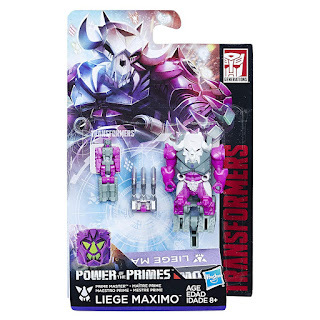 The Liege Maximo Prime Master gives other bots the power to turn words into weapons. How will the Autobots and Decepticons use this scheming power? Anything is possible and everything is at stake when the Power of the Primes is unleashed!